Painting the exterior of your house can transform its look and even increase its value. 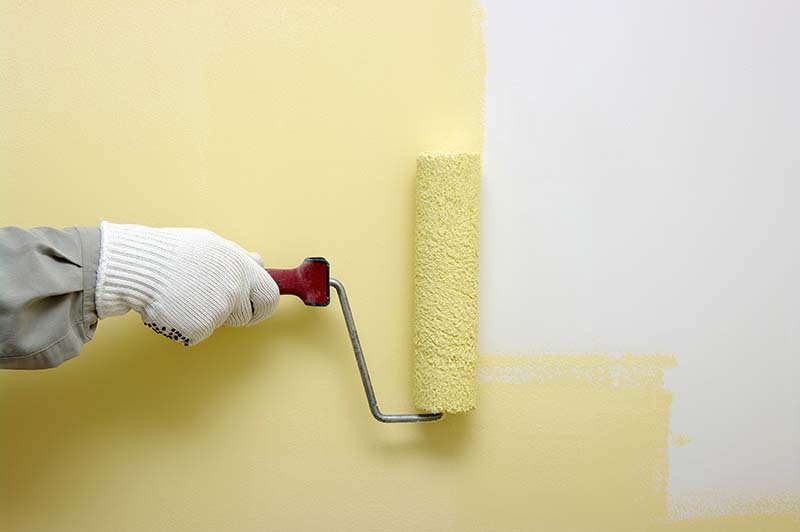 A fresh coat of paint will also protect your walls from weather damage. Before you paint your house, check our tips, do’s and dont's to ensure a professional result. Use a paint that is specifically for exterior walls; even better if it’s Irish as it will be formulated to withstand the harsh Irish weather. Exterior paints also dry quicker and resist mould and mildew better than alternative paints. Ask a member of staff at your local Topline for help finding the right paint. Calculate the amount of paint you will need in advance, so you don’t run out half way through painting or waste money on excess paint. There are paint calculators available on the websites of most brands of paint. Make sure you have everything you need before you start to prevent any frustrating delays. The bare essentials include: paint of course, a ladder, paint brushes, a paint roller, a roller tray, work gloves and a laminated dust sheet to protect the ground. Your safety while painting high areas is largely dependent on your ladder, so invest in a high quality and sturdy ladder. See our guide on using a ladder safely. If you are painting a very high building consider using scaffolding or a hoisting crane. See also our guide to ladders and ladder safety. As any good trades person will tell you, you need the right tools for the job. Use paint brushes and rollers that are designed for exterior surfaces. These generally have longer bristles or pile to hold more paint for applying to uneven and textured masonry surfaces. Your walls will need to be dry before painting, and there will need to be sufficient time for your paint to dry before it rains. Exterior paint is usually rainproof within an hour but if it rains too soon your paint can run onto the ground. Stir paint thoroughly before painting. Use a long stirring rod or an old wire hanger to ensure the paint is mixed well. Then start painting from the top and work your way down. An excellent finish depends on the proper preparation of the surface before painting. Use a pressure washer to remove any loose paint and dirt. If any flaky paint remains, use a scraper to remove as much as possible. Repair any damaged surfaces and fill any holes or cracks. A clean surface will help new paint adhere to the surface. Check your local council website to find out how to responsibly dispose of leftover paint and chemicals in your area. If you try to overreach to paint a larger area instead of moving the ladder, you risk injury and a poor and inconsistent paint job with a streaky finish. You will get better results if you are patient and take your time. If paint is left to harden on your brushes and rollers after use, it is usually impossible to use them again. Give them a good clean to ensure value for your money. See our guide on how to clean your paint brushes.